Front row: Myself and Sarahi with Ernie peeking behind us. The two "thinkers' are Berenice and Diego. As you can see from the photo, we suffered through our week with the youth from Chihuahua?! What a wonderful week we had, for several reasons. This is the first group we have ever hosted that we did not need to translate! How that changes things! Then, as far as 'youth groups' go, these kids were not high school kids but rather young adults, more college and career. There were only 7 of them; size also changes things. Those were some of the obvious things that made for a good week. Now the things we didn't really think, or know about, prior to their arrival; those were the things that for Ernie and I made it extra special. What things didn't we know? That Nataniel is the son of Sara, and the grandson of Hortencia. Hortencia was a pillar of the church in Soto Maenez, where Dora Friesen, and later Kathy Thiessen, worked. We are close friends with his mom and his aunts. There were several walks down memory lane. Then there was Berenice. I was in her home in Picacho many years ago, on a trip i made with Jessy Neufeld Fehr. 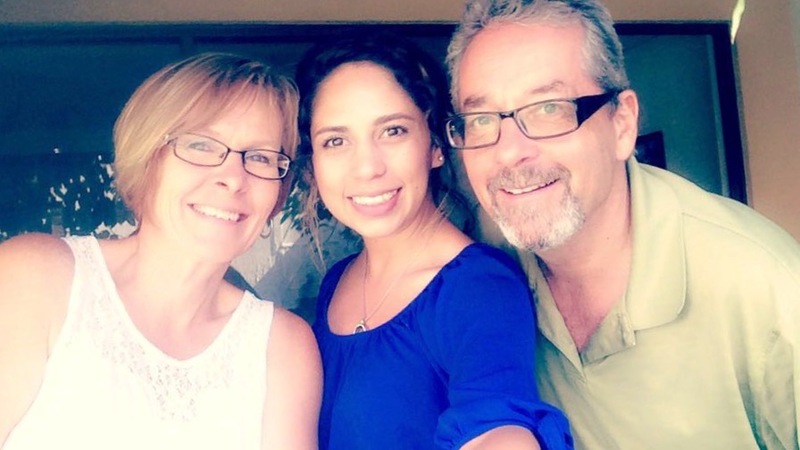 We went there because Jessy had lived with this family while in Mexico on MissionX with SBC. The world is forever shrinking! Sarahí was the hardest one, mostly because of our shared memories. These memories are painful, and thus tears were shed. She is also part of Aldo and Rebecca's family. Aldo was one of Ernie's best friends in Chihuahua. He performed their wedding. Aldo and Rebecca are walking the streets of gold, talking with Jesus. While this is great for them...not so much for his mother. She still struggles. So, while we loved being with her (she was a real blessing) it wasn't without its painful moments. So what did we all do together? 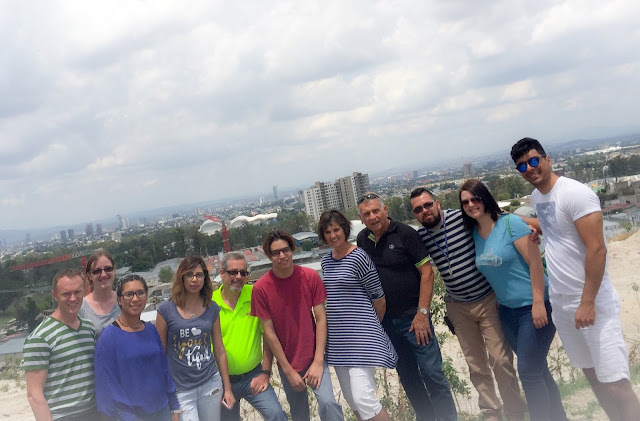 They joined our Bible studies in the evenings, they helped Ernie and I out at the Day Care, they joined Dallas and Tara at the orphanage, and we joined the HADIME group at the Matthew Training Center ( Sandra Plett works with MB Mission here in GDL). HADIME is a program for training people for missions. They have from 6-15 young adults come. So they shared their stories and our group shared theirs. They prayed for one another and their respective ministries. Then we shared breakfast together. Friendships were formed and a vision for missions was fanned into flame. Mari has left for Bolivia on a Missions assignment and Sarahi leaves in a month for Ecuador for a 1 year assignment. Adrian has a heart for Venezuela. God is at work in our young people. So they left Saturday morning for Chihuahua, and we cleaned up and tried to rest. It was a wonderful week where we reconnected with our Northern Conference. Bridges were built or re-enforced. Now we look towards Ernie's 60th Birthday party. Pray for all those details to come together. Party is set for July 22 (his actual b-day is the 21st). Presently we are hosting a group of young people from Chihuahua State... meaning they are not all from the city of Chihuahua. We were asked by the church in Cuauhtemoc if we would be willing to host a group of young adults (early/mid 20's) for a week. They were wanting to do a missions trip, as most of them have a sincere desire to serve God in missions. We were excited! They arrived on Monday morning; seven young people. We had no idea who was coming. Ernie had made the arrangements with a youth leader and basically said "come on down." On that first day, after a wonderful meal together, we sat around and listened to them share a little about themselves. This was such a rich blessing for us; moved some to tears. Why? Because here we were meeting the fruits of EMC missions in Mexico. How so? Well, as they shared their stories some of them attributed their faith to the work of Dora Friesen, Cathy Thiessen and Alvira Friesen. Seeds planted years ago, often in the lives of their parents, or grandparents, sometimes also in their early years. It was so exciting to see the 'fruit' of some of the missionary activity that had happened in northern Mexico many years earlier, especially given that there is no longer an EMC missionary presence in Chihuahua. Sometimes we get to see the fruit of our faithfulness, sometimes we don't. Then there are times when others hear about someones' faithfulness, and how it has reaped generational harvests. They have only been here for 2 days, heading into day 3 (they are only here till Saturday morning), but they have already touched our lives. They have reminded me to be faithful, to plant seeds, for one never knows where, or when, the harvest will come up. Finally, to see a group of young adults, with a burning desire to be involved in missions, is another level of encouragement! Could some of these end up being the next 'wave' of missionaries? Would that not be amazing, if the EMC was not only able to be used of God to spread His Word in other countries and cultures, but also, as that work/church matures, find that it also spawns a new generation of missionaries! WOW! On a personal note, the tall fellow on the far right (Nathaniel) is Hortencia's grandson, and Sarah's son. Hortencia, an amazing woman of faith, that recently went home to be with the Lord, brought up her daughters to serve the Lord as well. This family was/is very dear to our hearts, and became close friends during our years in Chihuahua. To be able to host Nathaniel, because of these connections, is an added blessing! The Lord is truly good!